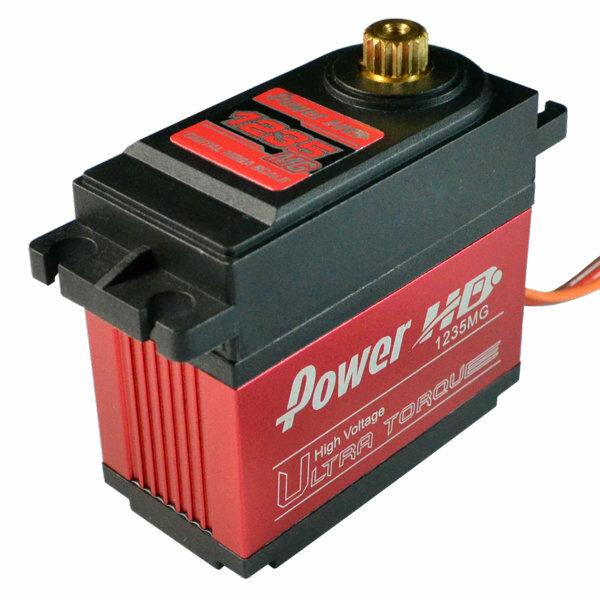 The PowerHD HD-1235MG is a premium quality high voltage digital servo with massive strength for high torque requirements. This digital servo features a muscular 555 oz-in of torque. This monster servo is constructed of high quality components with metal gears and operates a higher voltage than average servos. 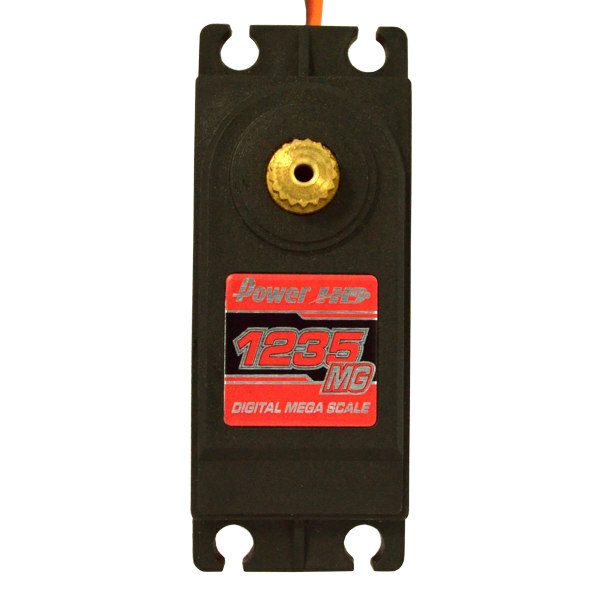 This servo requires a voltage from 6-7.4V DC. 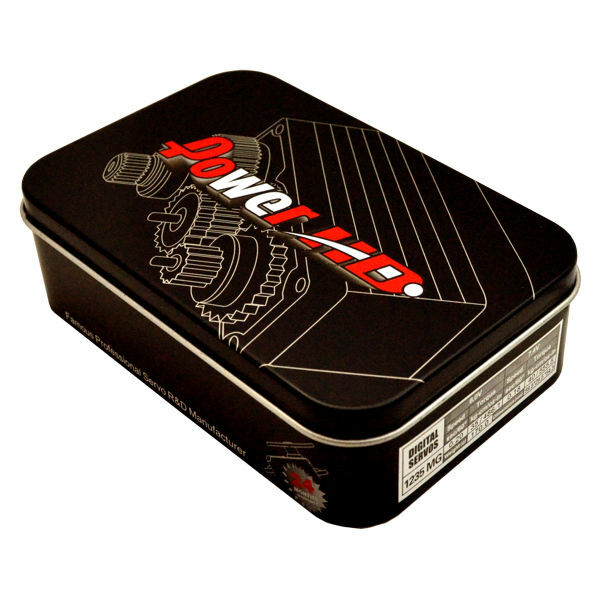 This premium quality servo includes the usual assortment of horn accessories and comes in a cool metal box.